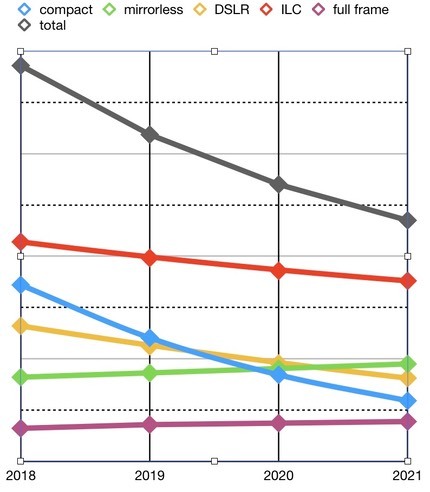 News and commentary about the mirrorless camera world (latest on top). Hover or tap on News/Views in the menu bar above to see the full list of recent articles as well as folders containing all older ones dating back to 2011. My 24-70mm f/2.8 S-line lens for the Nikon Z cameras showed up recently, as did everyone else's. Nikon's shipments immediately started triggering the "should I get the f/2.8 or the f/4 lens" type of questions in my In Box. In that full frame DSLR world, the differential between the two aperture choices tends to be relatively modest and repeatable. In both the Canon and Nikon zoom sets, the f/2.8 lenses perform better optically than the f/4 lenses at f/4, they can gather another stop of light (obviously), but they're heavier and more expensive. In almost every case, the tradeoff most people get down to is that stop of light for increased size and price, though. For example: in the Canon DSLR world the 70-200mm f/2.8 is US$2100 and the f/4 is US$1300. For Nikon, the 70-200mm f/2.8 is US$2800, the f/4 is US$1400, or half the price (you don't get the optional tripod foot, though). Because of those pricings, the Nikon DSLR user is much more tempted by the f/4 lens than the Canon DSLR user. At least they were until the f/2.8E came out and just blew the socks off optical expectations for a telephoto zoom. In the mirrorless full frame world, things have been a little different. The Sony 24-70mm f/4 (US$900) is not a particularly good lens, while the Sony 24-70mm f/2.8 (US$2200) is an excellent lens. Meanwhile the Sony 12-24mm f/4 and 16-35mm f/2.8 don't match up in focal length (both are excellent, though the 16-35mm is better at the equivalent focal lengths and apertures). Finally, the 70-200mm f/2.8 and f/4 in the Sony lineup basically mimic what you find in the DSLR world: substantive price differential, reasonable size/weight differential, modest optical differential. Nikon didn't make this easy. The 24-70mm f/4 is one of the best "kit" lenses you'll find. At the kit bundle implied price of US$600, it very well may be the best mid-range zoom by a large margin at that price point. Even at the retail price of US$1000, you just don't find many zoom lenses that good at that price point. I'd say that you're being somewhat foolish if you buy a body only in the Nikon lineup instead of the body+24-70mm kit. Moreover, in terms of size and weight, the f/4 version keeps the basic body+lens combination substantively smaller and lighter than you're used to with full frame DSLRs. Which brings us to: why do you want f/2.8? Two things: (1) a stop more light capability; and (2) a stop more DOF isolation ability. You really have to figure out how much those two things are worth to you (in any brand zoom pair, but particularly in the Nikon 24-70mm duo, as the price difference can be as much as US$1700). Moreover, the f/2.8 version is substantively heavier than the f/4 version, though it's still smaller than you may be used to with DSLR 24-70mm f/2.8 lenses. That's a highly competent and reasonably small kit that covers an incredibly wide focal range. The conundrum is this: what if you do sometimes (or often) value that extra stop of light and DOF isolation (plus a bit more optical quality)? By this time next year, we'll have 14-24mm, 24-70mm, and 70-200mm f/2.8 lenses in the Nikon line, and we already have 16-35mm, 24-70mm, and 70-200mm f/2.8 lenses in the Sony lineup. Thus, you should be thinking about this now, not later. I can't really answer the question for you, as there are clear tradeoffs you have to come to conclusions about. I can only make sure that you ponder your circumstances carefully and provide as much information as I can to help you make your decisions. In both the Nikon and Sony travel kits I mention above, we've never had it so good with full frame. That's six lenses that produce really strong results; better than the kit-lens results we got in DSLRs through those same focal ranges, IMHO. But it's also starting to turn out that the f/2.8 zooms are pushing beyond what we got with the DSLRs, too. Thus, the conundrum is multiple. There's the usual f/2.8 versus f/4 decision, but we're also starting to see a differential between DSLR and mirrorless in these lenses, too. The future is so f/2.8 bright, I gotta wear shades (yes, a Timbuk3 reference). Fujifilm user — Iridient Developer, probably. Oh X-Trans. Now complicated by phase detect positions on the sensor. More than any of the other type of raw files, the best way to convert a RAF has changed over time. I'm not even sure my current experience is correct things change so fast. One problem with Iridient is that it's a Mac product (though there's a Windows "transformer" option). The other problem is that it's a slightly awkward program to use in a workflow. Still, the best RAF conversions I've seen come out of this converter. Update: Several folk wrote me to say that Capture One now is doing as well as Iridient Developer in terms of getting clean results out of X-Trans, plus Fujifilm has a similar relationship with Capture One as does Sony (see below). I haven't tried Capture One lately, but intend to soon. Oh, the headline got your attention, did it? There's only one "known" full frame mirrorless camera coming that we can talk about: the Sigma L. That's going to be a 20.3mp full frame, L-mount camera that arrives some time in 2020. Sigma will tell you that it's a 60.9 million something sensor, but in terms of the output, it's really 20.3 million final pixels. The thing is, it's not a Bayer sensor, but a Foveon design—and one that returns to the original Foveon three layer approach—so basically you're getting full luminance and color data at 20.3 million positions. From there, we have one "somewhat likely" full frame candidate in 2019: Sony has yet to introduce a Mark III version of the A7S. What that would be is anyone's guess, as the A7S sensor was an unexpected one-off and that's likely to be true again. I use the words "somewhat likely" for the A7S Mark III for a reason: keeping an S model distinguished from the new A7m3 on the video side is going to be a tough deal to accomplish. The 12mp of the A7S basically means you're using every photosite for 4K video, and thus you're getting Bayer impacts when you do (i.e., you're interpreting luminance at every other position). The 24mp of the A7m3 has better luminance integrity for detail but worse luminance noise. From a pragmatic approach, though, Sony would now be shoehorning the A7S into a more narrow space than before, and it was already in a narrow space. Thus, any A7S update has to find a place where it delivers "better" video than the A7m3, which is a tall order. I suppose it's possible to do a 24mp 8K video sensor. Plus there's the chance for a global shutter, removing all rolling shutter issues. But you can see how Sony's got themselves into a fairly tight window here given the A7m3's highly credible capabilities. And if the true target is a "better stills" camera, then the sensor pretty much has to stay well below 24mp, or else Sony has to have invented some new technology that truly goes well beyond what current Exmor sensors can do and obsoletes their A7m3 in doing so. So, "somewhat likely." I'm sure Sony would like to continue to have a mostly video-oriented A7 model, but they also have to steer clear of getting into the FS XDCAM professional range, too. It's a narrow, tricky, window for them to get through. The curious thing is how much Sony is pushing new abilities and performance into Mark III (and A9) firmware this year. That would tend to tell me not to expect a new A7R or A9 this year, but that their lives will be extended by firmware updates. Rumors abound about Canon introducing late in 2019 what essentially would be the followup to the 5Ds/r, but in mirrorless form: a high-megapixel count R model (technically, that should be named RP, for R Professional, but Canon's making marketing mistakes galore as they race to mirrorless; the camera they named RP should have been named RC, for R consumer). 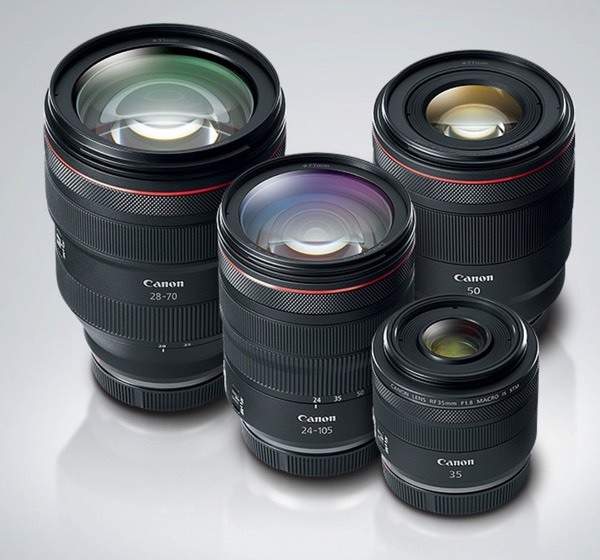 Given Canon's mismatched RF lens launches—high end lenses for lower end bodies—it makes strong sense to believe that those high-megapixel count camera rumors are credible, and that it's coming as soon as possible. But what's the sensor tech? Sure, it'll be dual pixel, as everything Canon fabs now sports that. But will it be something beyond? Canon has a patent on a "dual well" type approach: they really need to do something to bring forward their dynamic range capabilities, and particularly on a smaller photosite, high megapixel count, high-end camera. Put another way: Canon needs more than more pixels, it needs better pixels. Finally, images of Nikon early prototypes for the Z6 and Z7 emerged and generated false rumors about Nikon creating a lower-end model to take on the Canon RP. No doubt that will happen, but those photos of "prototypes" aren't what that low-end camera will look like. Nikon certainly would love to replicate the D610, D750, D850 lineup in Z, which would be a Z5, Z6, and Z7. And Nikon would love to eventually add the D5 equivalent, which I'll call a Z9 since it would sit at the top of the lineup and give them a complete line. But there's nothing that indicates that Nikon is at all ready to do so or that it would happen in 2019. Indeed, to a large degree, Nikon would have the same problem Canon currently has if a Z5 were to appear any time soon: no suitable lenses for the consumer camera. It's not difficult to guess what a Z5 would look like, though: re-use the Z6 image sensor, but lose the top OLED; use a lessor EVF and LCD; opt for SD card over XQD; lose some of the weatherstripping (but not the seam overlaps); perhaps even get rid of the tilting LCD mechanism. As I noted elsewhere, the question is whether Nikon could strip out US$200 worth of parts and manufacturing costs, though. Because that's what they'd need to do to get to Canon's RP pricing. So we also start losing things like the headphone jack, the USB 3.0 port (back to 2.0), the thumb stick, and maybe even replace some of the metal frame internals with plastic/carbon fiber. If you're keeping track, that's a lot of stuff to rework, test, document, and set up for robotic manufacturing. Again, while I expect Nikon will get around to making a Z5, I don't think it likely to happen in 2019. As I wrote earlier this year, we're in a very good spot with full frame now. DSLRs built out their full frame lines earlier, and now mirrorless has mostly built out, with the next steps being reasonably predictable. So again, if mirrorless full frame is something you aspire to, there's plenty or product to choose from already, and there's enough information and informed speculation to understand what might be added to the near term choices. I also went through the Canon RF and Nikon Z full frame lens lineups earlier this week. The current and forthcoming Leica, Panasonic, and Sigma L lenses are relatively well known at this point, too. 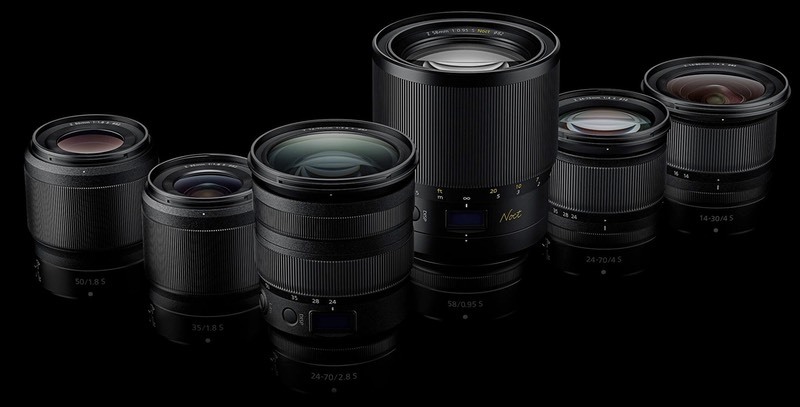 The Sony FE lens lineup is pretty extensive with only a few gaps left to fill. So. Even if you aren't going to spring for it in 2019, you should be able to begin making a decision as to whether full frame mirrorless is a place you're likely to go, and further have a pretty good idea of which of the four mounts you're likely to opt for. Addendum: You might have noticed that Sony has eight current and potentially nine models in their lineup. I would say that's unsustainable, and will ultimately cause Sony the same issues it caused Nikon when Nikon ran into the declining market size squeeze. Pushing any further than that in a small volume market—which is what full frame has been, is, and will continue to be—starts to be extremely inefficient. Moreover, if you don't get strong parts re-use across models—and Canon is not lined up properly for that at the moment—you destroy your gross profit margin very quickly. 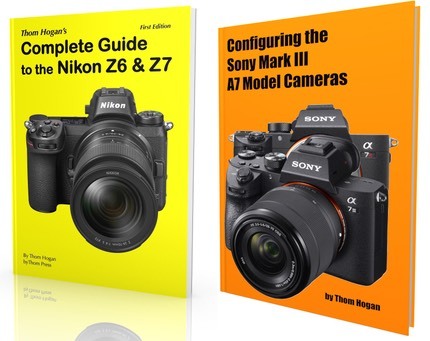 Memo to Sony: get the Mark I and Mark II models off the market ASAP. Define a new entry camera (A6). Push frequent and strong firmware updates to keep the Mark III models "current." Nikon's roadmap for Z mount lenses keeps getting small adjustments. At the moment, Nikon is showing charts with three unidentified lenses to be released in 2020, eight in 2021. The operative question is what do we want those lenses to be, and what are they likely to be? There's also no DX lenses nor any true consumer "kit" zooms to go with whatever the Z5 turns out to be (I suspect that's the next model we'll get). If we assume that a Z5 is a high-end DX model, we'd need a 16mm f/1.8 and 16-70mm f/2.8 or f/2.8-4 (I don't think this likely). 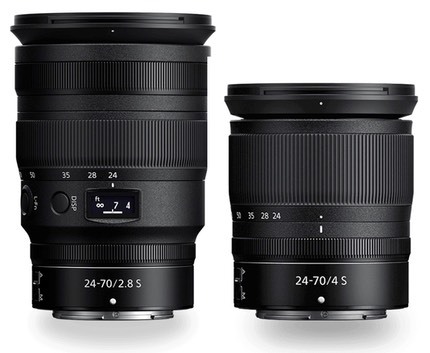 If we assume that a Z5 is a low-end consumer FX model, we need a 24-100mm f/3.5-5.6, and maybe a 28-200mm f/3.5-5.6. Given that we've got an f/1.2 prime coming, I'd expect Nikon to fill out other offerings like that, in particular a 35mm f/1.2 and 85mm f/1.2. We're also missing a couple of f/1.8 offerings: the 28mm f/1.8 and 105mm f/1.8. Conspicuously missing in the Z lens lineup is a macro lens. I personally would like Nikon to break out of the box of their thinking here. Their box would predict either a 60mm f/2.8 Micro-Nikkor, a 105mm f/2.8 Micro-Nikkor, or both. I'd strongly suggest that they give us all a little more working distance while adding a telephoto lens option by making a 135mm f/2.8 Micro-Nikkor or maybe even a 180mm f/4 Micro-Nikkor. While the PF primes for the F-mount are actually quite good choices on the Z cameras with the FTZ adapter, I'd really like to see Nikon start re-setting that lineup with emphasis on the two things the Z mount provides (potential outer edge gains compactness): 400mm f/4 PF. Note that this dovetails with the F-mount offerings and provides some incentive for DSLR users to switch if that's the lens they really want. That leaves me three more lenses to fill in. I'd opt for not repeating too much in the main focal ranges, but push to provide more flexibility for the system. Thus, I'd have a fisheye (15mm f/2.8), a tilt-shift (24mm f/4), and a pancake (24mm f/2.8, but it could be 35mm or 50mm; the primary thing it needs to be is super compact). That's my choices for filling in the 11 lenses not identified in Nikon's road map. What's your choice?